Disclosure: This post has been sponsored by Milk and Eggs, but all thoughts and opinions are my own. As a vegetarian, I try to stay healthy by having most of my meals be plant-based (rather than made up of processed foods, etc). Something I love about Milk and Eggs grocery delivery is that I can easily browse and shop for plant-based foods! With a food selection from local vendors and farmers, their food selection is always fresh, and most with minimal ingredients. I can shop for my produce with confidence, knowing I can get fresh, organic foods that will last a long time (since Milk and Eggs gets their food delivered incredibly fresh and locally sourced). 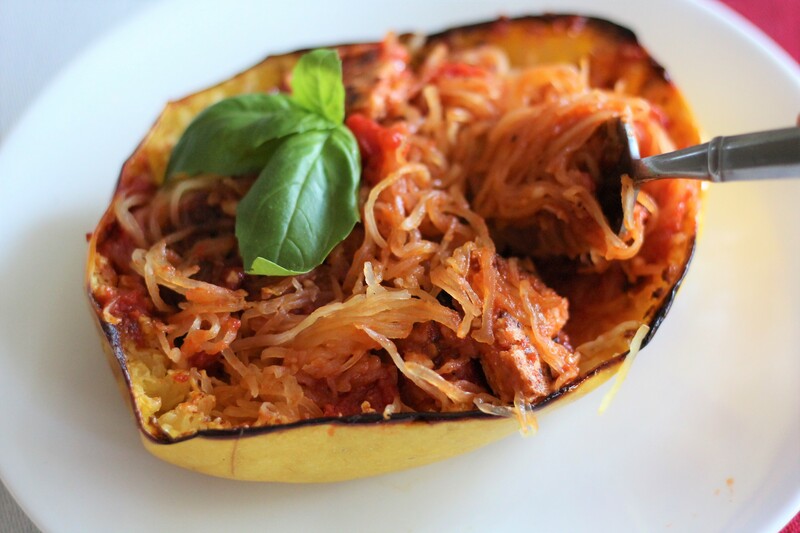 With my grocery deliveries, I love to make simple yet delicious meals – one of my favorite plant-based hearty vegetarian dinners is spaghetti squash! Scoop out seeds from squash and discard. Line a pan with aluminum foil, and preheat oven to 450 degrees F.
Cover inside of spaghetti squash with sunflower seed oil, salt and pepper. While your squash is baking, peel and dice your tomatoes, and place in a pot with 4 cloves of garlic and 1/3 cup oil. Once spaghetti squash is done cooking, scrape with a large fork to create the spaghetti texture, add sauce, and basil leaves and combine. And there you have it! Just an example of one of the simple, delicious meals you can make with plant-based ingredients from Milk and Eggs grocery delivery! Click here to begin your online shopping trip with Milk and Eggs, currently delivering to Los Angeles and Orange County!